REAL VIRTUAL TOUR AVAILABLE!! ASK YOUR REALTOR FOR LINK. 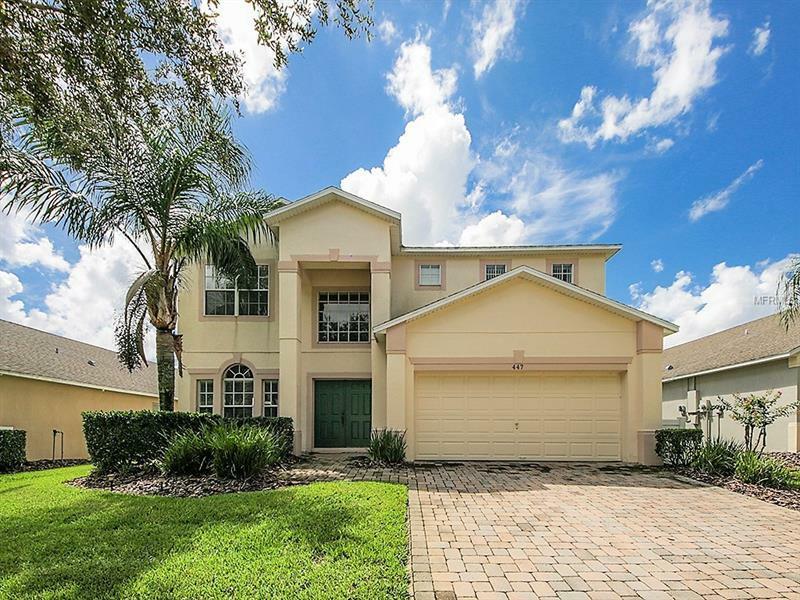 Your dream home is located in the well desired, gated community of West Haven in the Sanctuary with manicured lawns and minutes to Posner Park Mall and restaurants! This lovely 2 story single family home includes luxurious furnishings, has 4 bedrooms and 3 & 1/2 baths and a beautiful SOUTH facing heated pool. Home offers formal living room & dining room combo, plus spacious kitchen & family room combo. Kitchen includes beautiful countertops, matching island, breakfast bar, recessed canned lighting and equipped with all appliances. There are 2 master bedrooms upstairs, one with garden tub and separate shower and walk in closets. There are 2 other bedrooms upstairs perfect for youngsters of any age. All living areas have ceramic tile including bathrooms, and carpet in bedrooms. Home is meticulously maintained, HOA is only $226.66 a month or $680 a quarter, and includes cable, maintained lawns, shrubs, exterior pest control, irrigation, garbage removal, street lights & gates! This move in ready home is perfect for vacation rental or private residence.